Eagle Ford is a large shale rock formation located in Southern Texas between Houston, San Antonio, and Laredo. Due to the sloping nature of the formation, the shale reaches the surface in North Texas while the oil-bearing portion is much deeper in South Texas where the drilling activity occurs. In 2010, Eagle Ford was one of the most actively drilled areas for oil and gas in the United States. Eagle Ford is a high potential area for the future of shale gas because of the large amount of Shale gas that has been extracted thus far. There is a tremendous amount of activity currently transpiring in the areas where the Eagle Ford shale is present. 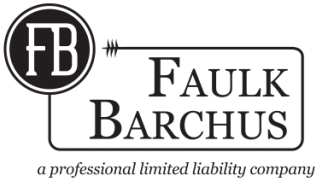 Faulk Barchus regularly represents clients with all types of matters that occur in these areas.